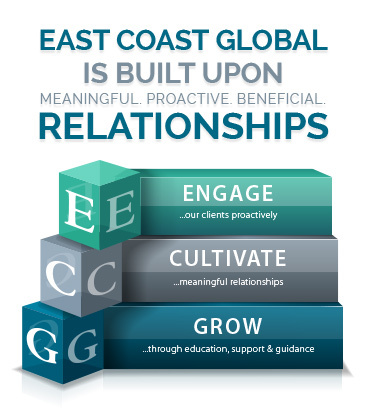 East Coast Global was founded in 2007 to provide a unique, relationship-driven service experience to the commercial insurance industry. The company is founded on a simple, but powerful premise—our business; the products and services East Coast Global provides to the marketplace, can be delivered better and more efficiently—not an ingenious revelation by any means, but an important one nonetheless. We envision an organization that pays closer attention to the client & representative connection—an organization that proactively Engages its customers, fostering meaningful and beneficial relationships. Cultivates the bond’s development through support & guidance and Grows alongside one another with a common goal in sight. We believe our people, our company’s culture, and our 30+ years of combined experience embody the focus and drive to achieve these goals. Each and every individual at East Coast Global operates within a set of values and standards born from our corporate Mission Statement: At East Coast Global Insurance, we pride ourselves on our enthusiasm for insurance and our ability to express that enthusiasm in the work we do. We strive to provide our customers with the highest level of satisfaction through the highest level of service. We are committed to continually increasing our knowledge of insurance through education, and our goal is to apply that knowledge not only to ensure the best possible protection of our clients’ assets, but also to increase their understanding of that protection. 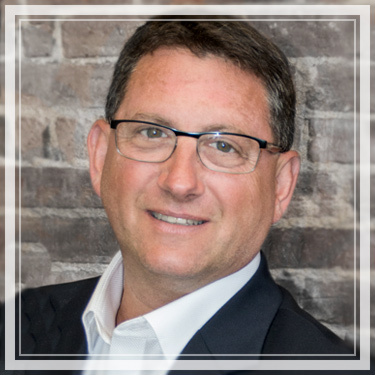 Marc Weinstein is the Owner/Principal of East Coast Global Insurance. Marc is a third generation insurance professional with over 25 years of experience. After working at two other insurance agencies Marc founded and launched East Coast Global in 2007. Born and raised in Marblehead, Massachusetts, Marc is a Hofstra University graduate and is married to his wife, Lisa and has two daughters; Samantha and Savanna. Blake is an Account Executive with East Coast Global. Blake partners with clients to focus on current and emerging risks and provides them with customized coverage options. He is personable as well as professional. His ability to build relationships and nurture trust has helped him achieve the goals of his clients and establish himself as their trusted risk advisor. In addition to operating in the commercial property and casualty space, Blake’s expertise includes; consultative account management, multi-media marketing, business networking, and building and maintaining strong client relationships. 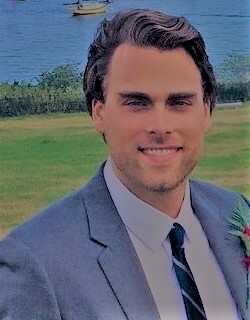 Blake expands his knowledge in commercial insurance through continuing education for his Property and Casualty Insurance License, as well as targeted areas of risk management such as; Risk Control for General Liability Losses, Risk Control for Workers Compensation Losses, and Controlling Distracted Driving. Tammy is the Customer ServiceS Manager at East Coast Global. She enjoys interacting with clients to provide information to inquiries. Her goal is handle and resolve client issues in a timely manner. Tammy’s strong communication skills and ability to work well under pressure always ensures a high level of customer satisfaction at ECG. Her experience, knowledge, patience, and confidence allows her to help inform and advise customers clearly and effectively. 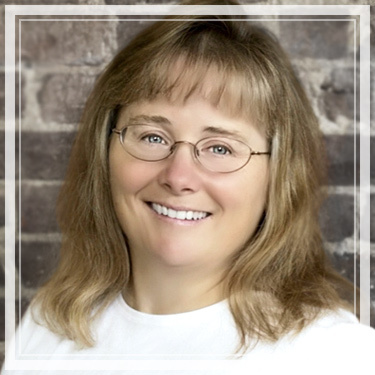 In addition to excellent customer service, Tammy’s expertise lies in sales management, office administration, strategic planning, and human resources. Tammy graduated from Suffolk University with a Masters of Business Administration. Melissa is a Customer Services Representative at East Coast Global. 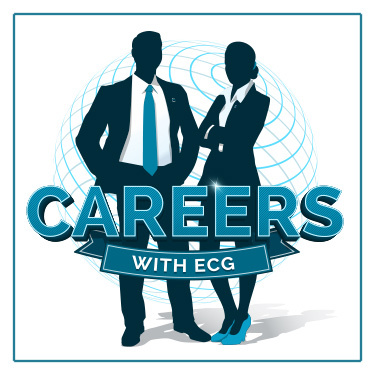 She takes the time to get know our ECG clients and their specific needs in order to provide knowledgeable, friendly and loyal customer service. Resolving issues promptly or executing a plan of action for our clients is her main goal. Melissa’s expertise lies in customer service, business management, training and human resources. Melissa is a graduate of Eastern Nazarene College in Quincy, MA with a Bachelor of Science in Business Administration. 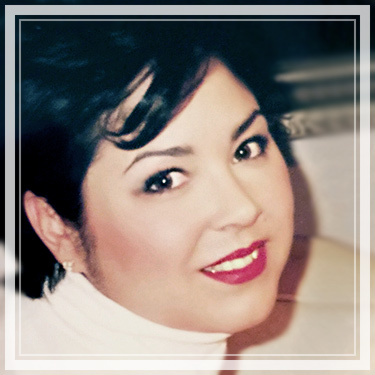 Lisa graduated from Hofstra University in NY in1988 with a degree in Marketing & Finance. She joins her husband Marc as a principal member of the East Coast Global Team. She has worked in the insurance industry for 10 years and prior to her role at ECG she worked at such prestigious organizations such as Forbes Magazine, Fidelity Investments and Objects, Inc. as Vice President of Marketing/Sales. 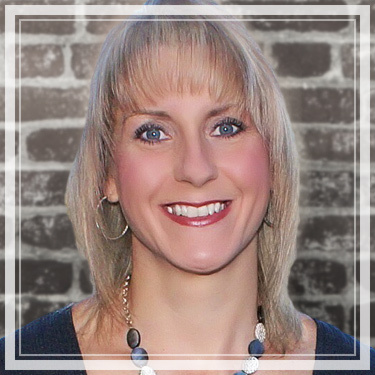 Lisa’s role at the agency includes managing a wide range of client accounts, training staff and marketing. Lisa and Marc have raised their two daughters in Dover, New Hampshire; Samantha, also graduated from Hofstra University and is an IT Recruiter in NYC and Savanna is at the University of Vermont as a Biology and Chemistry major.